Before adult Chihuahuas were their already diminutive selves, they were once even smaller Chihuahua puppies. Despite their small size, these spirited dogs are rarely intimidated by larger animals, or for that matter, cameras! 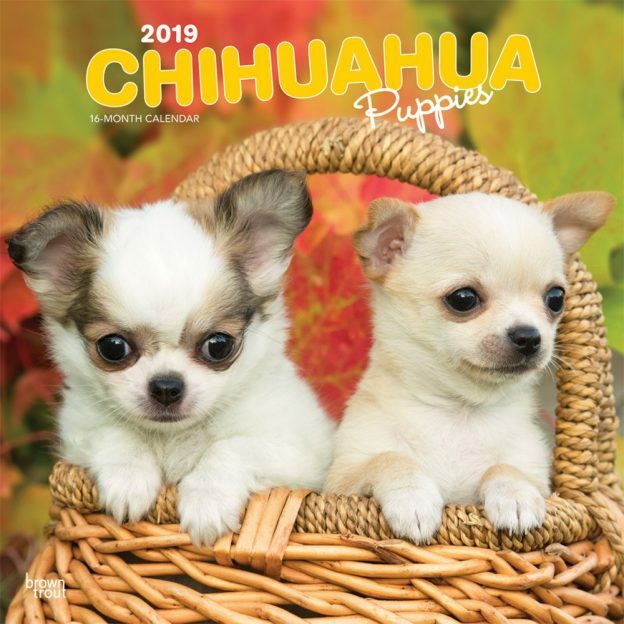 The tiny puppies featured in this Chihuahua Puppies square wall calendar will fill your year with cuteness. Celebrate Mexican culture with this wall calendar. Includes a free download of the DogDays™ app for the smartphone and tablet, which grants access to the world’s most captivating dog photos and backgrounds, fun puzzles, and a calendar featuring your favorite furry friends. This entry was posted in Calendar Showcase, Dog Breed on December 4, 2018 by dogdaysapp.